Ever since politics introduced the concept of “Alternative Facts” and “Fake News” some months ago, the mainstream media has been fighting back that it is the real authority on the truth. The New York Times has sought to portray itself as the media source that uncovers the truth and has pushed the tagline of “the Truth is Hard to Find,” as it features its journalists in large promotional advertisements. If only the New York Times actually reported such events during the war in 2014. Roduren wrote that “Israelis exchange nightmare scenarios that are the stuff of action movies” about the tunnels, as if the threat was simply imagined. 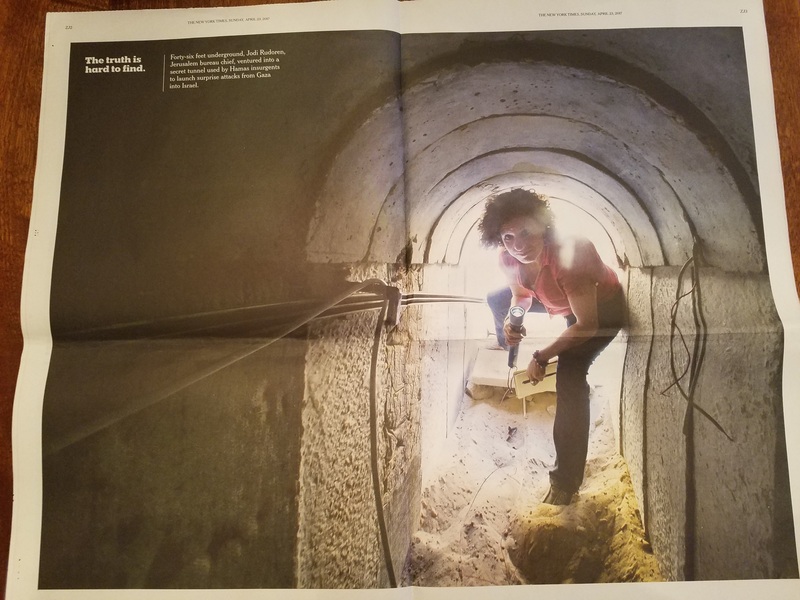 Compare Rudoren’s late and under-emphasized report during the 2014 war, with the front page story on May 21, 2016 that Palestinian Arabs are scared about the tunnels (because Israel will destroy them). Yet the Times describes itself as the discoverer of “truth,” even while it misleads readers. Consider two stories on the next day, July 30, 2014, when the Times repeatedly blamed Israel for bombing a power plant even though there was no proof that it was not done by Hamas, either intentionally or not. The two articles also did not mention the dozens of rockets that Hamas fired into Israel, nor that Hamas refused to accept a ceasefire. Just two days before Rudoren’s article about the Hamas tunnels, she wrote that anti-Israel riots in Europe had an “anti-Semitic tinge,” belittling the thousands of people storming streets in Paris yelling “Hitler was right” and attacking Jews and Jewish stores. In October 2012, Roduren wrote an article about “honor killings” in Gaza and the West Bank. Rather than point the finger squarely at the disgraceful Islamic practice performed by Palestinian Arabs on their own family members, Rudoren repeatedly blamed Israel. How? Read the fact-altering “news” for yourself. Her front page article on March 13, 2015, “As Israeli Settlements Take Root, So Do Complications,” repeated Palestinian propaganda as fact when she claimed that a few thousand Jews living in the West Bank threatened the “viability” of a Palestinian State. The examples of Roduren’s anti-Israel bias and deliberate misrepresentation of the facts were present in almost every article that she wrote for the Times. Her bias was so intense, that when Foreign Press Association wrote about threats its journalists received from Hamas about its reporting on the war, Roduren took to Twitter to defend Hamas. 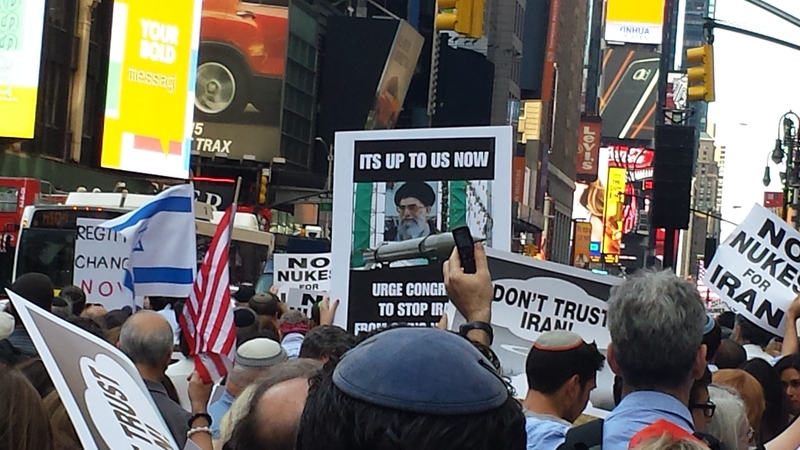 Yes, that same anti-Semitic terrorist group that dug terror tunnels into Israel. The New York Times may write that the “Truth is Hard to Find.” In truth, for the liberal paper, the facts are difficult to print. Yossi Klein Halevi penned a piece in the left-wing journal by the Forward, Sh’ma Now called “A Jubilee For Our Political Certainties.” The article advanced the notion that both the right-wing and left-wing camps have valid points regarding Israel’s administration of Judea and Samaria/ the “West Bank.” However, Israeli society – and increasingly the American one as well – has become more polarized and is unwilling to listen to the validity of the other side’s arguments. The goal of the center should therefore be to not have someone adopt their position, but to appreciate some elements of the counter argument. In short, he argues for balance. As someone right-of-center, I appreciate the sentiment of the article, but I disagree with the author’s contention that American Jews are simply engaging in “that dysfunctional Israeli debate.” Such language suggests that some American Jews are simply expressing a personal opinion. They are not. They are actively pushing Israel’s largest benefactor – the USA – to abandon Israel. Since 2008/9, the left-wing of the American Jewish community took a much more aggressive stance amid a backdrop of new wars from Palestinian Arabs and the ascendency of a liberal American president. The election of a liberal to the White House with absolutely no international experience was an opportunity for liberal Jews to actively advance a new set of policies towards Israel. J Street falsely billed itself to the Obama administration as an alternative to AIPAC (a non-partisan pro-Israel lobby) rather than an alternative to the Republican Jewish Coalition. J Street told Obama that many American Jews were against the “occupation of the West Bank,” and preferred a negotiated settlement of the Iranian nuclear program. The left-wing “pro-Israel” group told Obama that American Jews hated Israel’s policies (counter to actual facts), and advocated that he take actions directly opposite the desires of the Israeli government. Such activity is not joining Klein Halevi’s “debate,” but manipulating a judge to determine the outcome. In short, the left has become an active participant in the attacks on Israel, not just a protestor. And they are pushing such arguments with Israel’s prime supporter, the United States. And that is the main issue with Yossi Klein Halevi’s approach. Klein Halevi is correct that the center can see the merit of the arguments of both the left and right. But many in the center cannot agree with ACTIONS taken. While the right-wing may give money to support the “settlements,” those actions are: 1) supportive of Israelis; 2) limited in scope; and 3) can be reversed (such as Israel’s removal of settlements in Sinai in 1982 and Gaza in 2005, or adjustments to the path of the security barrier). However, the actions of the left-wing are: 1) harming Israelis by advocating for Israeli boycotts and Iranian nuclear weapons; 2) done on an international level; and 3) becoming permanent international law. As the left-wing has moved from personal opinions to dangerous global actions, the split in the American Jewish community has moved passed a civil exchange on matters of policy. It has become a fight between people. The debate should be internal: Make the arguments about Judea and Samaria with the government of Israel, not with Israel’s key ally, the United States. It certainly should not be with Israel’s enemies or at the United Nations. The actions should not be malicious: Calling for boycotts of Israeli businesses and people is harmful to Israel on many levels. Argue about policies; do not hurt people with whom you disagree. The “centrist” article ultimately suggests “an invitation to humility,” to appreciate the merits of both sides of the Israel/Palestinian Arab debate. I would suggest another form of humility: that American Jews realize that they are not Israeli citizens. While they are deeply engaged and attached to Israel for many reasons, the day-to-day ramifications of policies are only felt by the people who live there. Have some humility about the actions that you advocate to advance your personal sense of “morality” on the backs of people living in a dangerous part of the world thousands of miles away. I am “right-of-center” when it comes to politics about Israel. I firmly believe that Israel has unquestioned legal, moral and historic right to live as a free, independent, democratic Jewish state, and that the borders of such state should include the holiest city for Jews, the united city of Jerusalem as its capital for the previous reasons, as well as based on fundamental security needs. 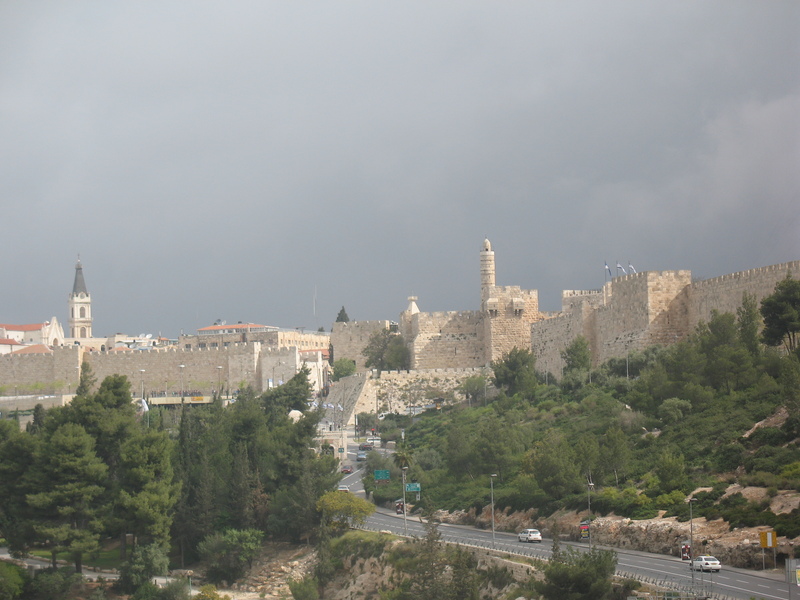 This year, I had the fortune of celebrating my Peach seder in Jerusalem. My hosts were liberal friends that believe that the eastern part of the city – a few hundred feet from where we ate the festive dinner – should become the capital of a new state of Palestine. I was not sure how this fact would impact the seder: how would the meal remain a celebration and educational for the dozen children, while not ignoring the momentous 50-year jubilee of the united city without a contentious debate? I tried to stay on safe ground. Before Pesach each year, I purchase a new Haggadah to share some new thoughts at the seder. Knowing of the attendees at this year’s meal, I decided to buy Erica Brown’s “Seder Talk,” as I considered that her essays would appeal to the more progressive crowd (compared to past year selections of R. Soloveitchik, R. Lamm, Lord Sachs, Sfas Emes among others). Brown continued that the mission to tell the story of the Exodus actually extends beyond parental responsibility. The Jerusalem Talmud used an alternative term for the “tam,” the simpleton, instead calling that son a “tipesh,” a stupid child. 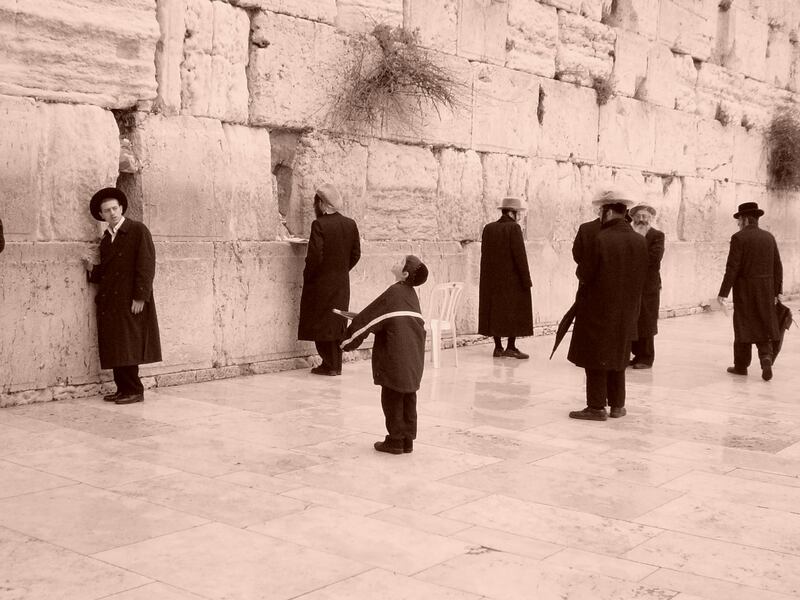 Brown said that “the child of the Jerusalem Talmud is the child with limited mental capacity…. This child is a child of not only the family but of our entire community.” It is not only the responsibility of the parent to educate their own children, but in certain circumstances, it is also the obligation to assist others raising those kids. To make an important adjustment to the words of Hillary Clinton – it does not “take a village” to raise children – it is the responsibility of each parent to rear their own. However, there may be extraordinary circumstances in which the broader community should be involved in educating and raising a child with special needs. I opted to end my comments there, as the reception at the seder was lukewarm. I do not think I won fans with terms for children of “stupid” and “mentally challenged,” even though the remarks were from Erica Brown herself. Had I continued with some extended thoughts of my own, it would have surely gone downhill. Shortly after the description of the four sons, the Haggadah quotes and analyzes a different selection from the bible. Deuteronomy 26: 5-8: [Then you shall declare before the Lord your God:] “My father was a wandering Aramean, and he went down into Egypt with a few people and lived there and became a great nation, powerful and numerous. But the Egyptians mistreated us and made us suffer, subjecting us to harsh labor. Then we cried out to the Lord, the God of our ancestors, and the Lord heard our voice and saw our misery, toil and oppression. So the Lord brought us out of Egypt with a mighty hand and an outstretched arm, with great terror and with signs and wonders. The Haggadah uses many pages to expound on these biblical verses, however, it does not give the context for the long history leading up to the exodus. This declaration in Deuteronomy is ordered by God at the time of bikurim, the bringing of the first fruits in Jerusalem. God demanded that the story of leaving Egypt be repeated in the chosen place of the chosen land for the chosen people: at the Jewish Temple in Jerusalem, in the heart of the Jewish holy land. Nachmanides (1194-1270), also known as the Ramban considered the rationale of the bikurim commandment. Why would an offering of first fruits in the Jewish Temple be accompanied with the history leaving Egypt? The Ramban noted that bikurim is ONLY made in public in Jerusalem; such an offering cannot be made on an individual basis. The personal declaration of thanks for the riches of the holy land is made before the entire community. The acknowledgement of the gifts of the holy land began with the exodus from Egypt, and is something that each person must publicly declare while internalizing the message: my gift of fruit is simply a portion of our collective gifts: we are a nation that was collectively brought from Egypt to Jerusalem. The offered fruit is realy the nation’s fruit, just as the freedom from slavery was a national liberation. The bible and Haggadah are clear in the command to educate one’s own children, and Erica Brown noted the need of the community to also educate other children in the community about our freedom from slavery. We stand as part of the community helping individuals learn the lesson of God’s gifts. But we also have a need to stand before the community to acknowledge God’s gifts. Those gifts extend beyond our freedom from slavery, to the gift of the holy land and its produce. And that declaration is to be made in Jerusalem on the Jewish Temple Mount. As left-wing radicals like the New Israel Fund rewrite the Haggadah and eliminate “Next Year in Jerusalem” to “Next Year in Palestine and Israel,” they have rewritten the centrality of God’s gifts and the role of our community. In doing so, have they rejected God’s gift and being part of our community? Or must the community not give up, and teach this wayward son as well? There are commandments in the bible that are clear and explicit, while there are others that are deduced by the rabbis. For example, “Do not kill” is easily understood, while the commandment to not eat dairy and meat together was derived by the rabbis from different parts of the bible. The commandment for Jews to go to Jerusalem three times a year is a combination of both clear and deduced commandments. “1Observe the month of Aviv and celebrate the Passover of the Lord your God, because in the month of Aviv he brought you out of Egypt by night. 2 Sacrifice as the Passover to the Lord your God an animal from your flock or herd at the place the Lord will choose as a dwelling for his Name. 3 Do not eat it with bread made with yeast, but for seven days eat unleavened bread, the bread of affliction, because you left Egypt in haste—so that all the days of your life you may remember the time of your departure from Egypt. 4 Let no yeast be found in your possession in all your land for seven days. Do not let any of the meat you sacrifice on the evening of the first day remain until morning. There is no question that God commanded Jews to make a pilgrimage three times a year to “the place He will choose.” However, that place was not clearly specified by God and changed over time. When Jews emerged from Egypt and came back to the holy land roughly 3300 years ago, they first set up the holy Tabernacle in the town of Shiloh in Samaria. It remained there for 369 years. The Jews set up the “tent of meeting” in Shiloh and made their pilgrimages to Shiloh as directed in the bible. The Israelites themselves chose this location, which is not exactly what the text in the bible prescribed stating that God will choose the location. Presumably, the Jews chose Shiloh with divine inspiration and blessing. After Shiloh was destroyed, the Tabernacle had temporary homes for fiftyseven years in Nob and Gibeon. When King David took over the leadership from King Saul around 1000BCE, he sought to unify the various tribes and establish a new capital. David seized the Jebusite city of Jerusalem which sat in the center of the kingdom. After David died, his son King Solomon built the First Jewish Temple there in 950BCE. 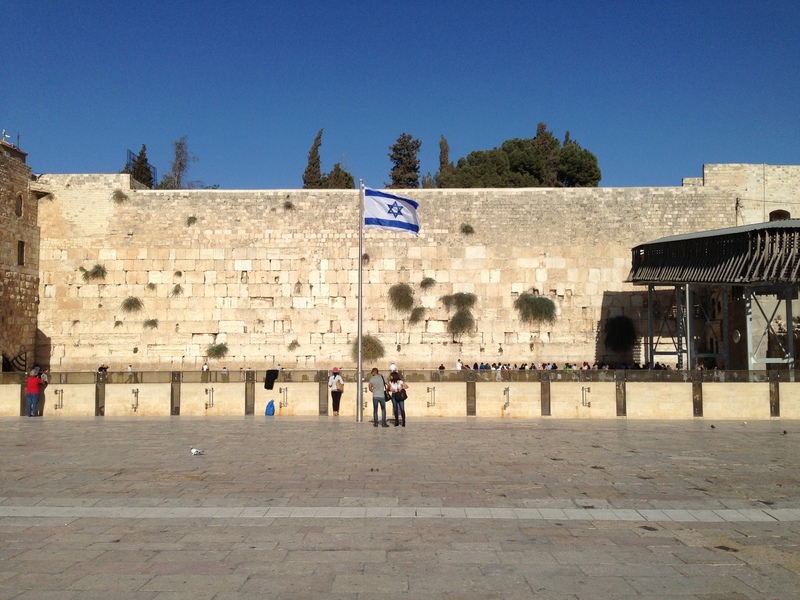 From that time until the present day, it has been the center of Jewish worship. 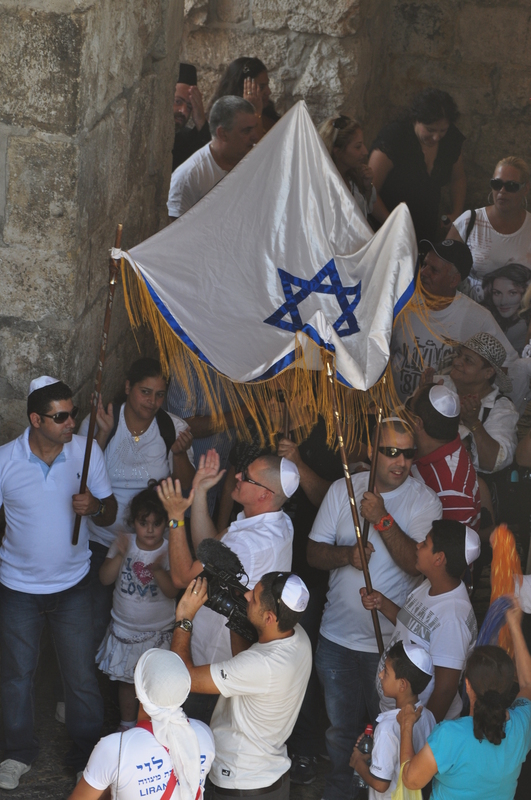 Whether the Jews were self-governing, or living under Assyrians, Greeks or Romans, Jerusalem and the Jewish Temple in Jerusalem was the focus of annual pilgrimages. That began to break down in 70CE. The Romans destroyed the Second Jewish Temple in 70CE and then banned all Jews from the city in 135CE after the Bar Kochba Revolt. 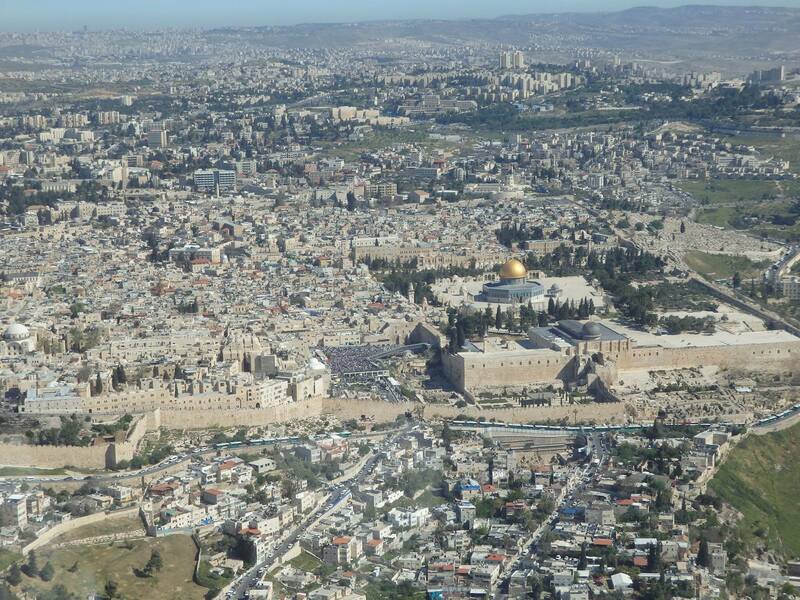 While Jews continued to live in the holy land, they could not visit Jerusalem. Eventually Jews were allowed back to their holiest city, and they resumed pilgrimages even though there was no longer a Temple. But during the Christian Crusades in the 1200s, the Jews were evicted from Jerusalem again, and only able to reestablish themselves in the city in the middle of the 13th century. By the 1860s, Jews were the largest religious group in Jerusalem, exceeding both the number of Muslims and Christians, even while the city was under Ottoman rule. In 1948, five Arab armies invaded Israel after it declared its independence. At war’s end, the Jordanians went about an ethnic cleansing of the Jews in Jerusalem. 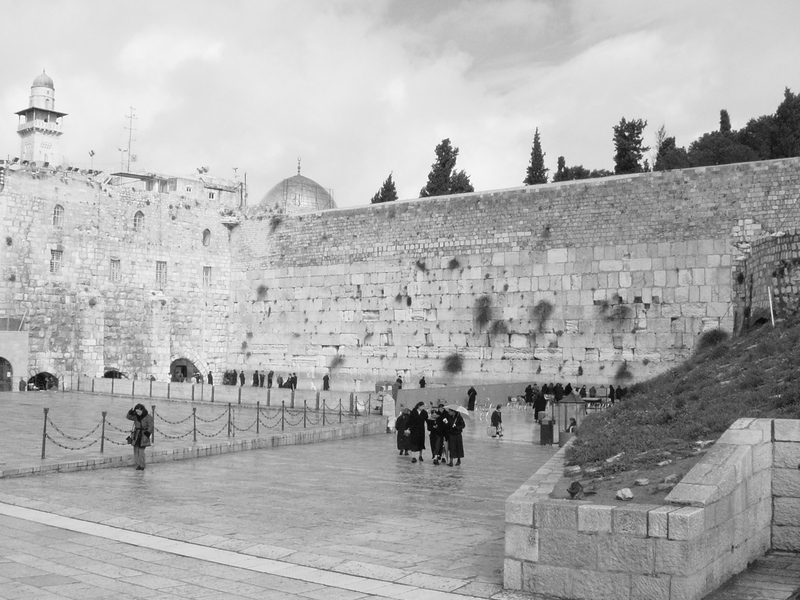 From 1949 to 1967, anti-Semites ruled in Jerusalem, and the holiest place in the world for Jews was out-of-reach. But that changed 50 years ago. In June 1967 the Jordanians attacked Israel after Israel pre-emptively attacked Egypt and Syria in the Six Day War. The Jordanians lost all of the land that they had illegally annexed, including Judea and Samaria and the eastern half of Jerusalem. Jews once again moved into their holy reunited city. The bible notes that 50 years is a jubilee, a time of redemption. “8 Count off seven Sabbath years—seven times seven years—so that the seven Sabbath years amount to a period of forty-nine years. Then have the trumpet sounded everywhere on the tenth day of the seventh month; on the Day of Atonement sound the trumpet throughout your land. 10 Consecrate the fiftieth year and proclaim liberty throughout the land to all its inhabitants. It shall be a jubilee for you; each of you is to return to your family property and to your own clan. 11 The fiftieth year shall be a jubilee for you; do not sow and do not reap what grows of itself or harvest the untended vines. 12 For it is a jubilee and is to be holy for you; eat only what is taken directly from the fields. Fifty years ago Jews were able to walk their streets again, to rebuild their synagogues and live in their homes. The anti-Semitic Arab laws were nullified as the Jewish State proclaimed liberty in their holiest city. Just one week ago, Israeli Prime Minister Benjamin Netanyahu approved a new town in Samaria near Shiloh, the first new development in decades. The new town is adjacent to the ancient Jewish holy site. A return and redemption of sorts, thousands of years later. Passover starts next week around the world. The seder ends with a song “HaShana HaBa B’Yerushalyim,” “Next year in Jerusalem. Next year in the rebuilt Jerusalem.” While there are still more obstacles to overcome in Jerusalem (such as the ban on Jewish prayer on the Temple Mount), the city has been revitalized and home to thousands of Jews. Passover 2017 marks anniversaries of both the redemption of the Jews from being slaves, and the redemption of Jerusalem from being Judenrein. Celebrating Passover in Jerusalem is performing a mitzvah, a positive deed, which combines a clearly delineated action with those divinely inspired. God saved us, and blessed us when we took actions to celebrate His gifts.